This is so good, I want another gallon, this older infant shows. 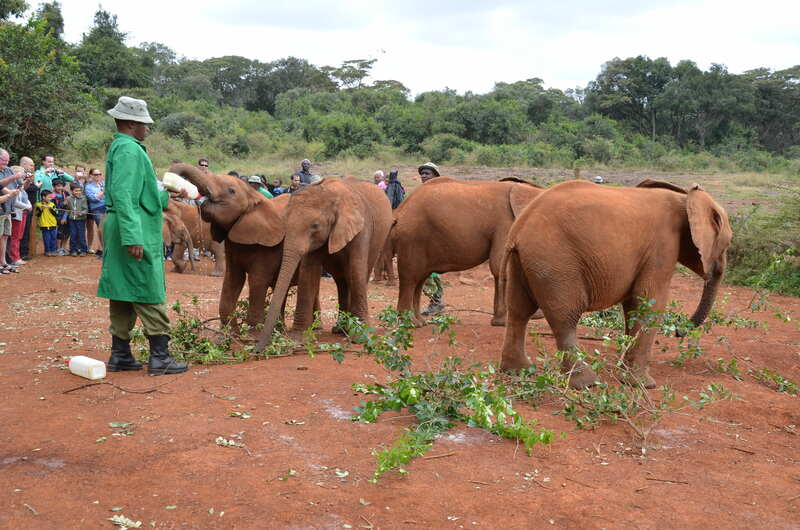 From the bush, 16 of them came running as fast as their little baby legs would let them. Awaiting them were 200 people wanting to see how they were doing and to give them love. But the 16 little ones were interested first in their bottles and headed right to them. In a few minutes that gallon bottle of milk was gone and another one was in the baby elephant’s mouth for a few more minutes. In under 15 minutes, each infant elephant had finished its 11A.M. feeding. 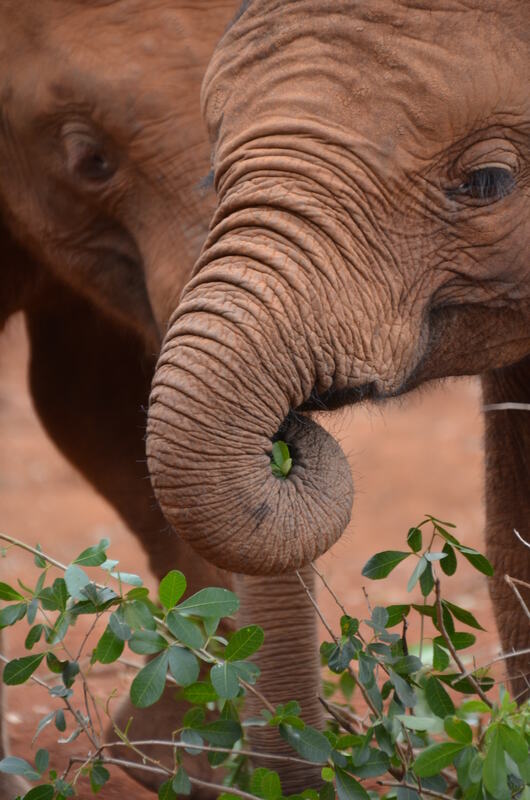 Then it was time to nibble on browse of small twigs with leaves which the babies were just learning to eat. I love to be loved by the tourists and everyone. Now that the hunger pains were past, it was time to satisfy the love pains so several of the infants went to the people for petting, hugging and fondling. Fourteen-month-old Lemoyian headed straight for the area where I was standing. And all of us petted, showed and told him we loved him over and over. Lemoyian’s skin felt like sandpaper with little wires all over it. He had to show his male prowess and test his 14-month-old 500-pound strength. So he head butted me and nearly knocked me to the ground. Luckily, I didn’t fall and his keeper immediately ran to the rescue and headed little Lemoyian for more love-showing in another crowd area. Baby elephants are very obedient, want to please, are very delicate to age 3, need to know they are loved every minute, fed milk formula at least every 3 hours or they will grieve themselves to death. The keepers never hit the baby elephants, or even carry a stick. 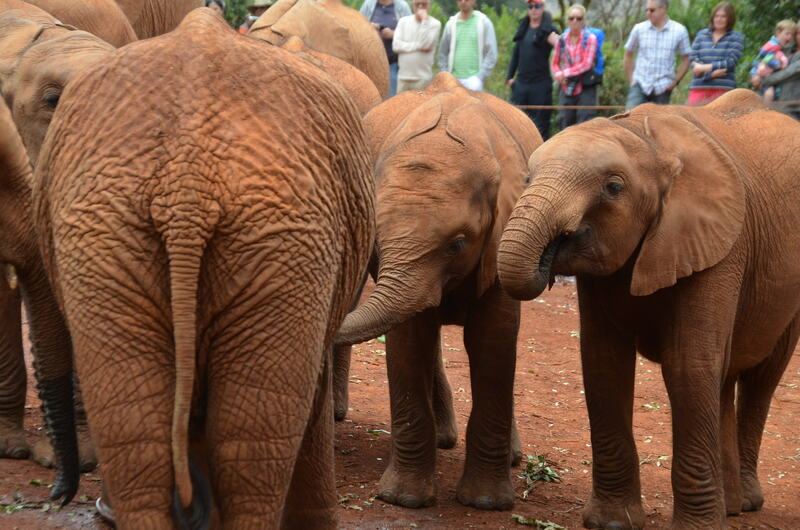 They only use tone of voice, hand signals or finger pointing to get the babies to do what they want them to do at the www.davidsheldrickwildlifetrust.org David Sheldrick Wildlife Trust in Nairobi, Kenya. 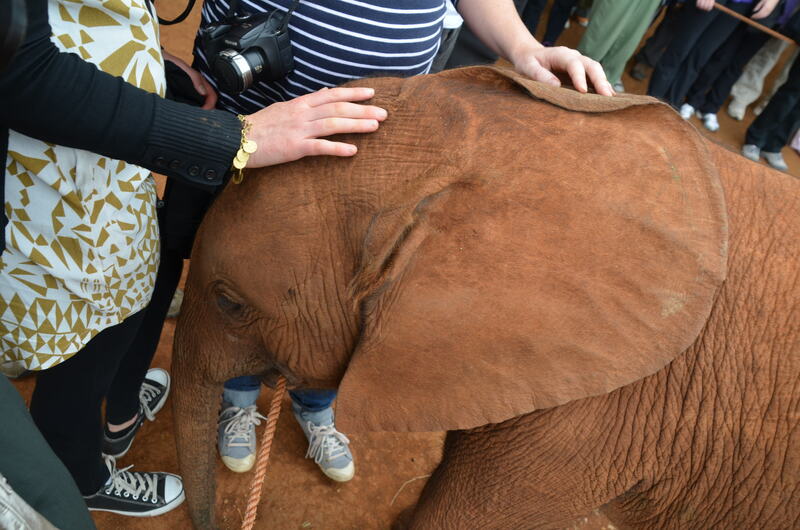 Now managed by his wife, Dr. Dame Daphne Sheldrick, the Elephant Orphanage had 26 orphans when we visited, but the number is determined by donations, budget and need. 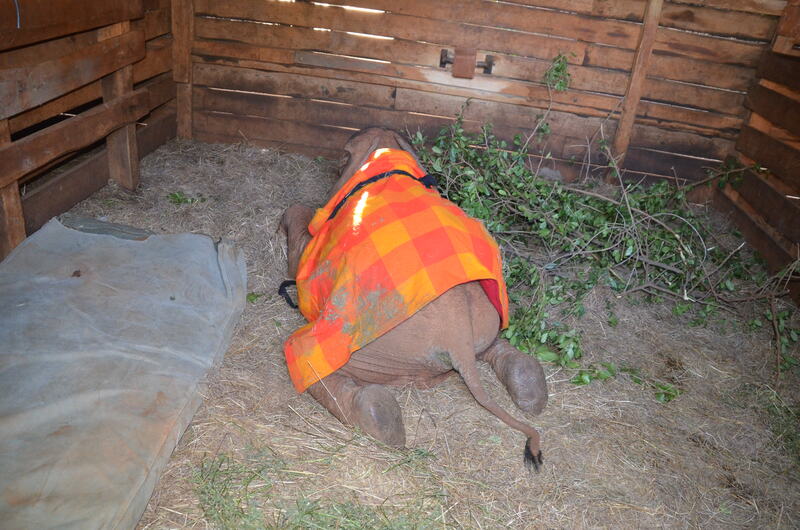 Each little elephant costs many dollars to rescue, feed, house and doctor until ready to return to the wild. 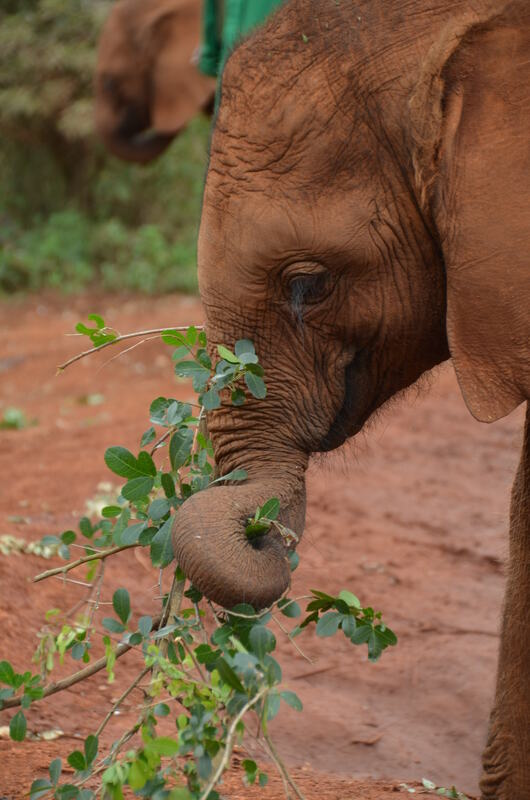 Most of their mothers were killed by poachers for their ivory tusks, but some became orphans like Lemoyian, due to an accident. This browse is so good. Lemoyian fell into the Lemoyian Well near Ambroseli National Park close to the border of Kenya and Tanzania when he was about 6 months old. His Mother tried to get him out and screamed and screamed for help. She left and never came back when Massai cattle arrived at the well. So, the Park Ranger went to investigate and summoned the Orphanage. It took 5 hours to get him from the well at the border to the Nairobi Orphanage where he was fed, given a stockade room to sleep and a safe place to grow up. But the trauma of losing his Mother is always on his mind and more so for females who have a lifelong bond with their Mothers. So that is why visitors are told to always show them sincere love. And the keepers have to do the same, for if the infants are mistreated, they remember it for years and can retaliate anytime. When the keepers correct them or tell them what to do and how to do it, the babies have to be told and shown they are loved and what they did wrong was only a little misdemeanor, not a major one, and they are still loved. 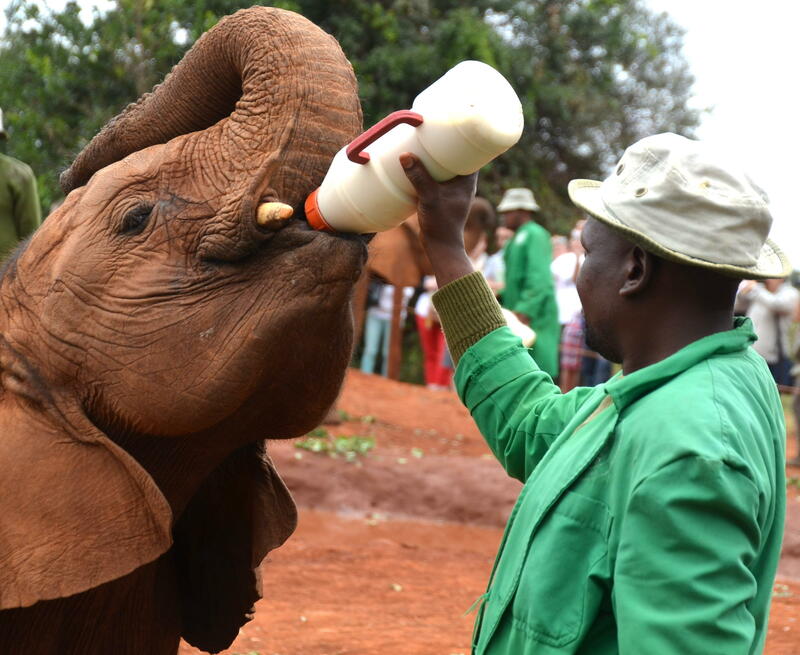 We have to see who is the strongest male among the teenage elephants because we will need this when we are adults..
Love keeps the delicate infants alive as does the 8 feedings a day of special formulated milk until the age of 3-years-old. 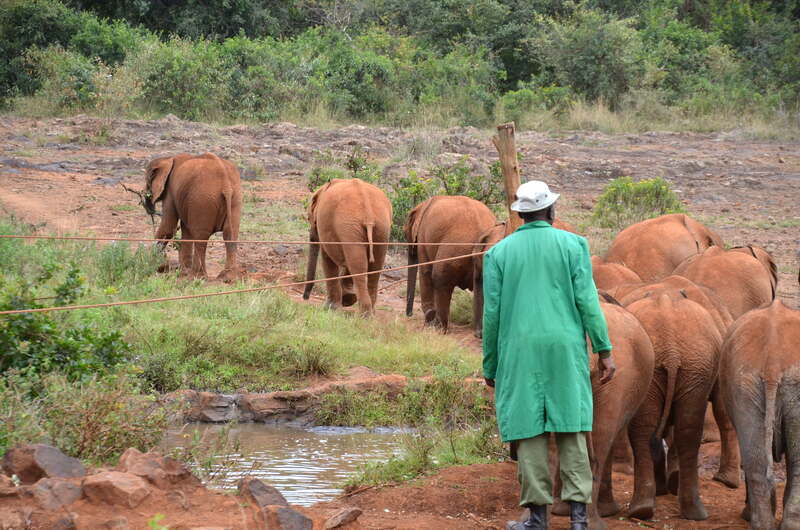 Elephants are like humans in development and are very intelligent and remember everything after 3 weeks of age. Dame Daphne spent 28 years finding the exact milk formula for the babies. After a few months, cooked oatmeal is added to the formula and coconut has to be added at a certain time for the fat content. Off to the bush for 3 hours and then back for more milk bottles. Teenage males have to be allowed to make their own decisions, to show their strength by sparring and not told what to do for them to become independent and respected in the male family. Lemoyian was just doing what comes naturally by head butting me. 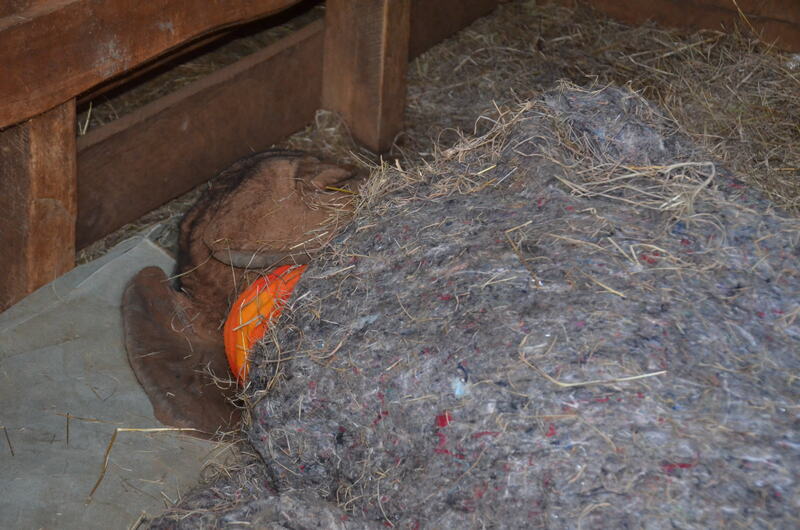 Getting ready for a warm and good night sleep in the stockade room. 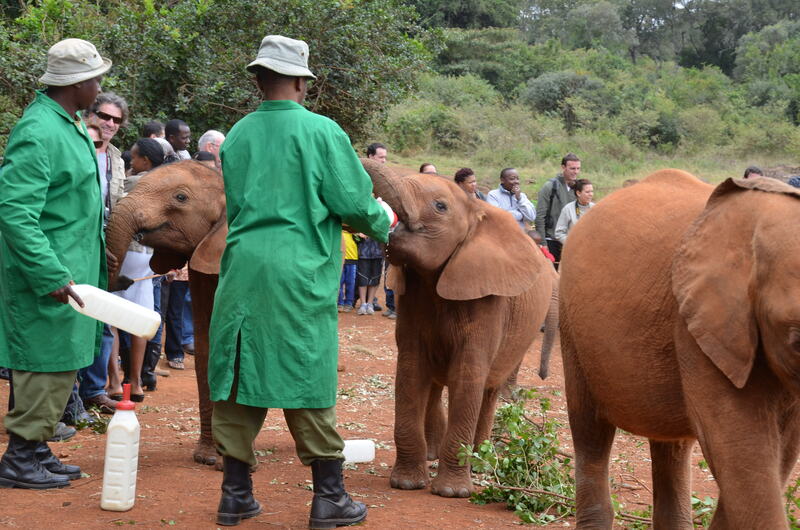 After 30 minutes of milk, browse and love, the infants headed back into the bush. And 8 older children came running from the bush for their milk. 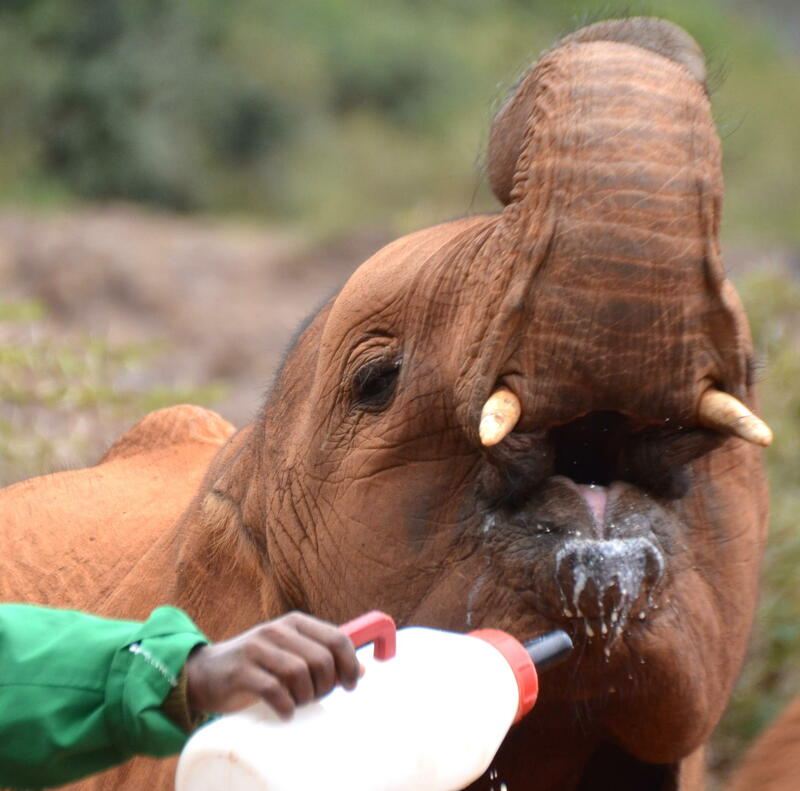 These children, as they are called up to 10 years old, each had little tusks beginning to grow and they were taller and bigger, but still young and in need of milk and love. 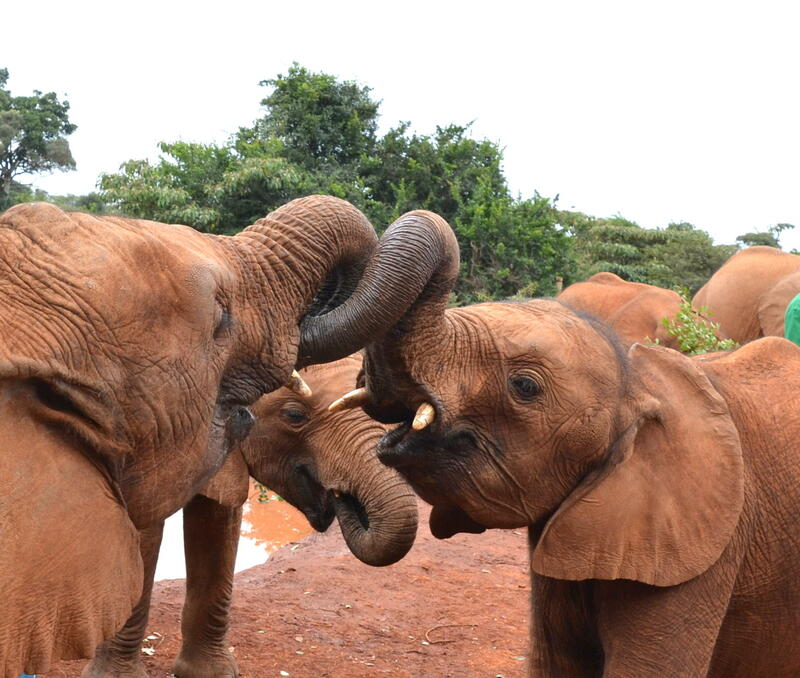 Plus, the males had to show and test their maleness by sparring with another male or two after their lunch. The 11-12 noon public visit was over but there was another chance to see the infants at the “5pm Go-to-Bed Feeding” that day if a $50 donation is made to the Orphanage and an infant adopted to help raise for $50 each year. One more ball game before I go to sleep between bottles. 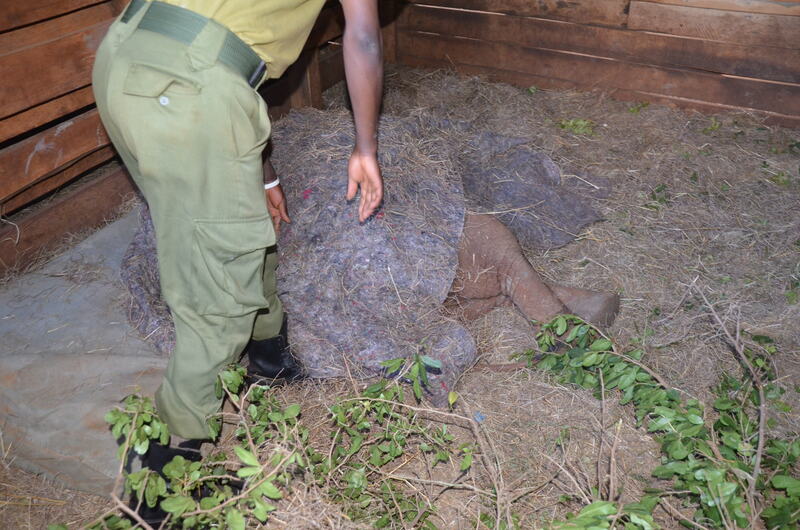 Lemoyian was my adopted infant and at 5PM, he and the other infants again came running from the bush straight to the bottles of milk and their stockade rooms for a good night sleep. 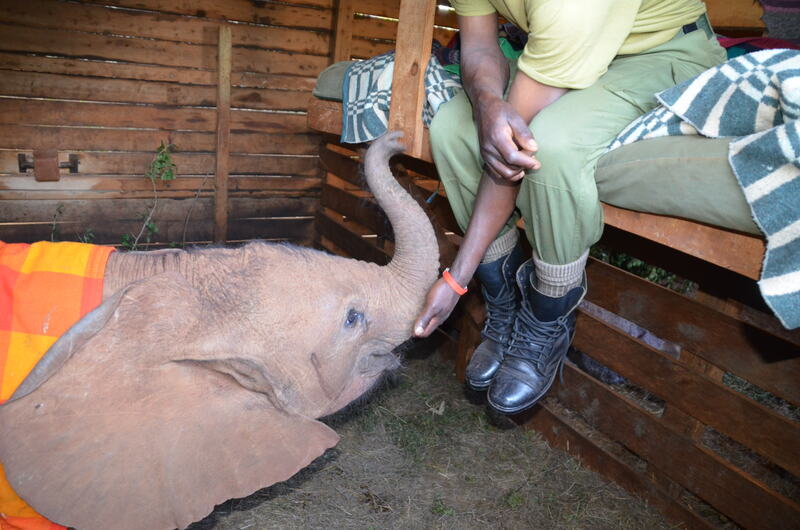 With their keeper for the night sleeping with him in his room, just like their Mothers did, Lemoyian felt safe and loved. 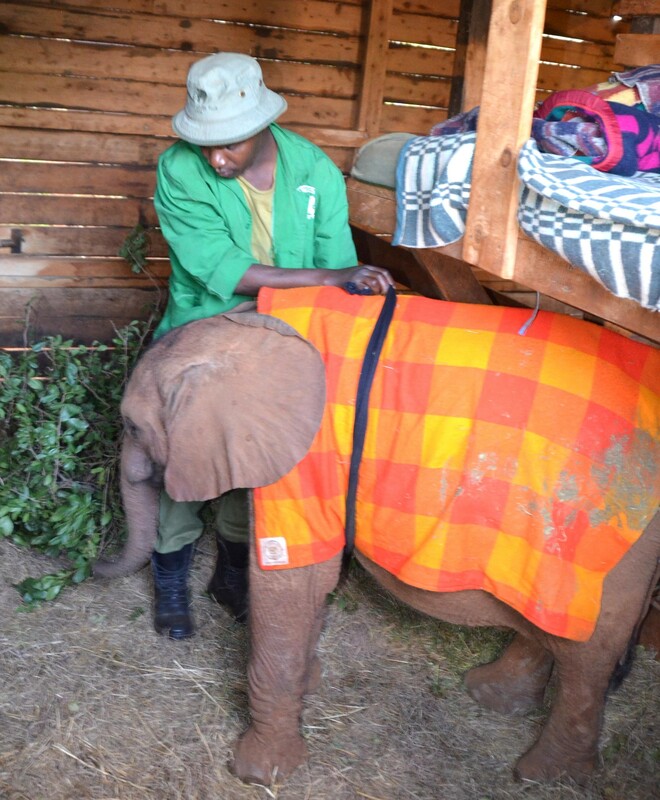 The keeper wrapped a heavy blanket around him and Lemoyian was ready for bed. Keepers are rotated several times every day so the infants will not get attached to just one. If that person ever is gone, the infant will grieve himself to death. They consider all the keepers their family. One more reassurance that you love me before I go to sleep. The night keeper then petted Lemoyian several more times and played ball with him while he ate browse. Finally, it was time to sleep and Lemoyian lay down to sleep. But wait, there’s more. 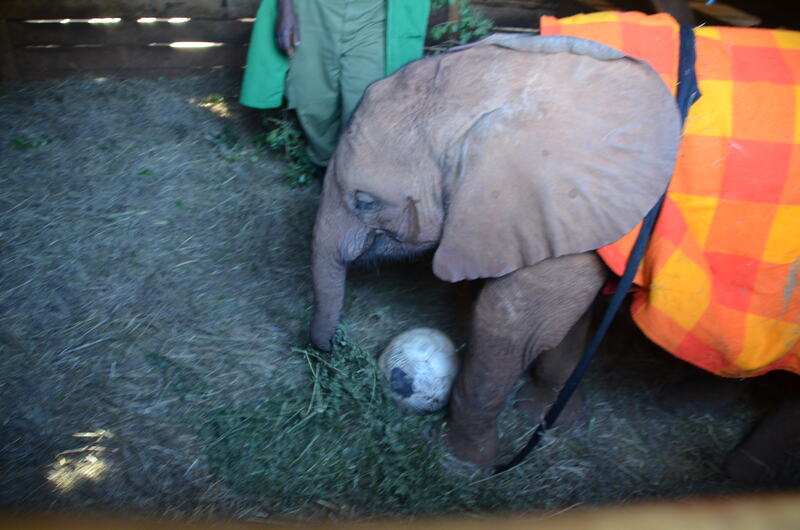 He then got up onto his knees and said “a thank you prayer” to all his supporters, friends, keepers and the orphanage for rescuing him and providing him with a warm safe place where he can grow up. 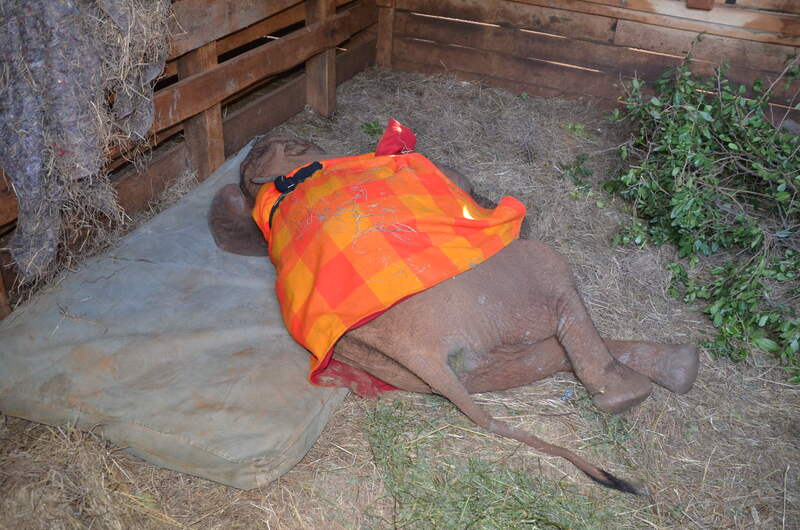 Now at 6 PM after one hour of routine procedures before bed, Lemonian could finally go to sleep with his keeper who covered him with another blanket. 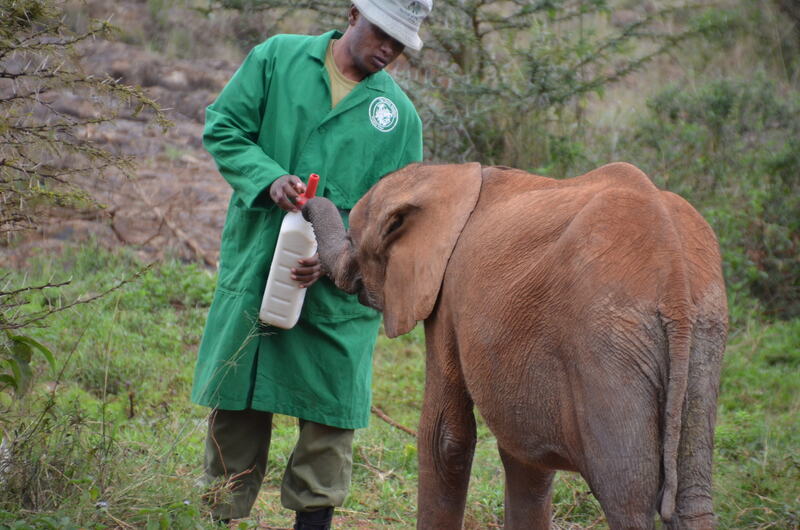 But, Lemoyian would be up again in 3 hours for another milk bottle and another milk bottle. This would continue several times throughout the night. Lemoyian went to sleep in a safe place knowing he was loved by all the keepers and the other 25 orphans at the Elephant Orphanage and that he would be able to grow up into a big bull elephant and return to the wild with the other males in the Orphanage and hopefully never encounter a poacher for his tusks.